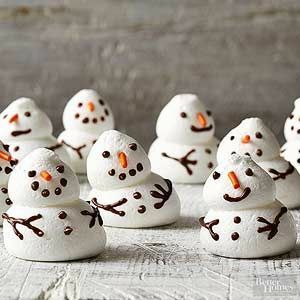 TMeringue Snowmen. This Christmas dessert recipe can be customized into a variety of different holiday shapes. Make an army of meringue snowmen, Christmas trees, and Santa hats to spruce your cookie plate this holiday season.